Beyond Yoga, $46 at Zappos, available in two colors. Show the studio you're all about it when you workout in the sleek, performance-ready Beyond Yoga® All About It Racerback Tank Top. 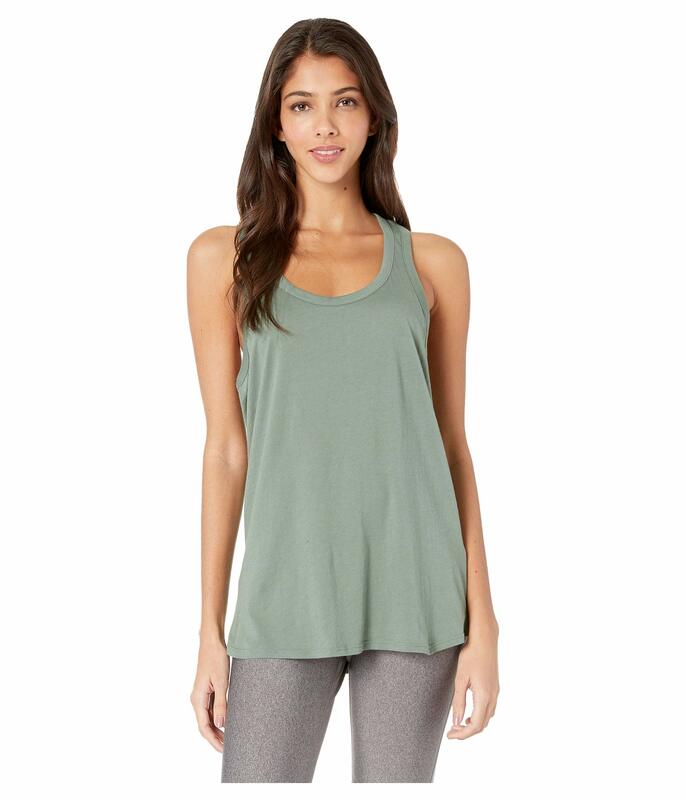 Luxuriously-soft pima cotton tank delivers breathable all-day comfort. All eyes will be on the eyelet detail of paisley perforations and tiny flower cutouts trimming the hem of this tank. From LOGO by Lori Goldstein(R). Length: missy length 28-5/8" to 29-7/8"; plus length 30-3/4" to 32-3/4"
This V-neck tunic tank is a must-have for slipping under cardigans and sweaters, or styling with capris in warm weather. From Isaac Mizrahi Live!TM. 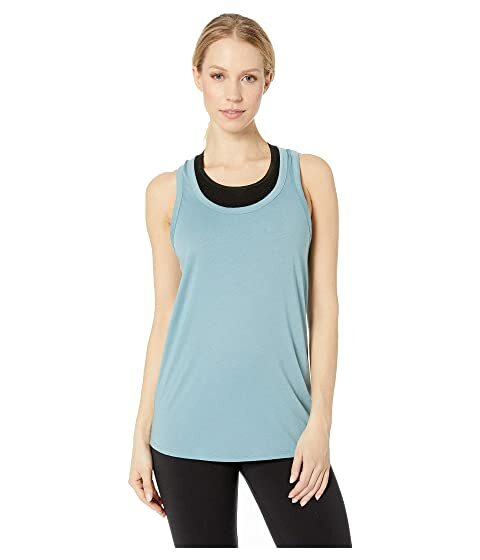 Women's Longtail T®; Tank Top: Extra Long, Long On Extras! Trendy tanks in the big box stores may be cheap, but their wimpy fabrics and careless construction just can't stand up to our quality. Duluth Longtail T® Tank Tops are made of a soft rib knit that won't stretch or sag out of shape - and they have UPF 35 protection built in to block harmful rays. Our tank top is a full 2" longer than an ordinary tank to stay tucked and keep you covered when you bend, reach or sit. Plus, the fabric won't fade or pill in the wash, and we pre-washed it to resist shrinkage. We even printed the label on - instead of attaching a scratchy tag at the neck - and included ingenious bra-keeper straps under each shoulder to hold those pesky straps in place! Thank you. I appreciate you and your time spent shopping for me. I will order before my size is sold out. @lolakimonoLOVE! 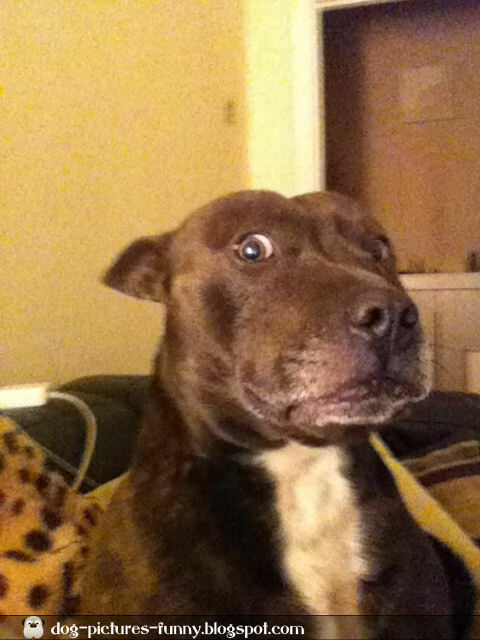 May I ask where you found this gem? Thanks! It's Moschino at Nordstrom- $2,195.00. There is a catalog I received today that I think would appeal to both of you.